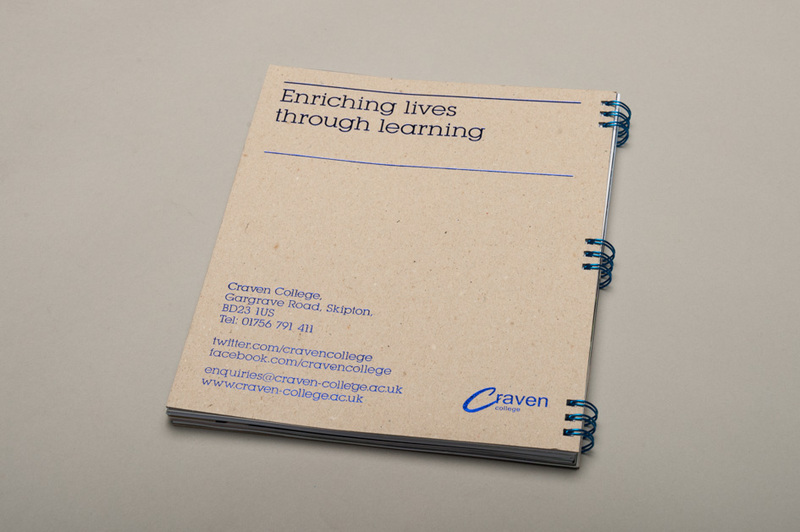 For this project from Craven College we were given a free reign on the brief. 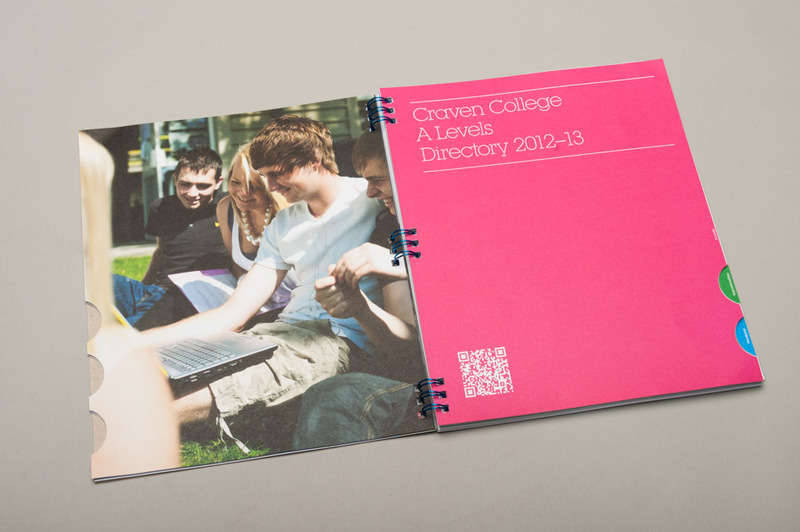 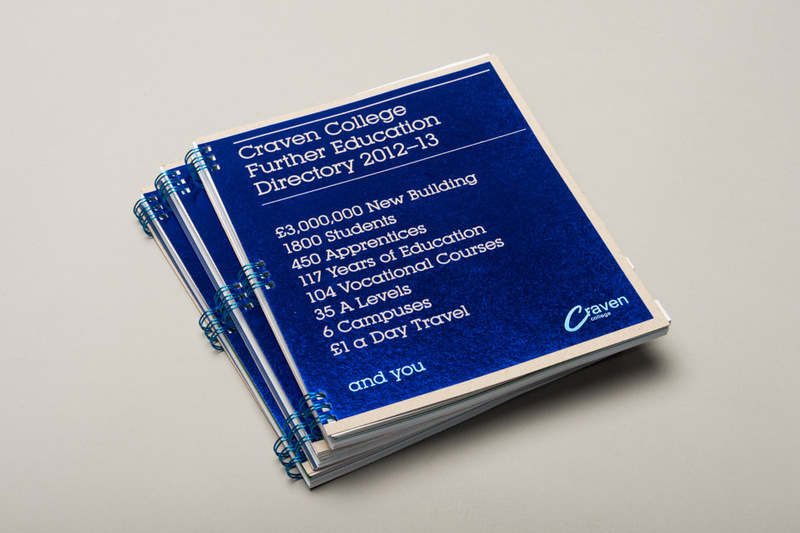 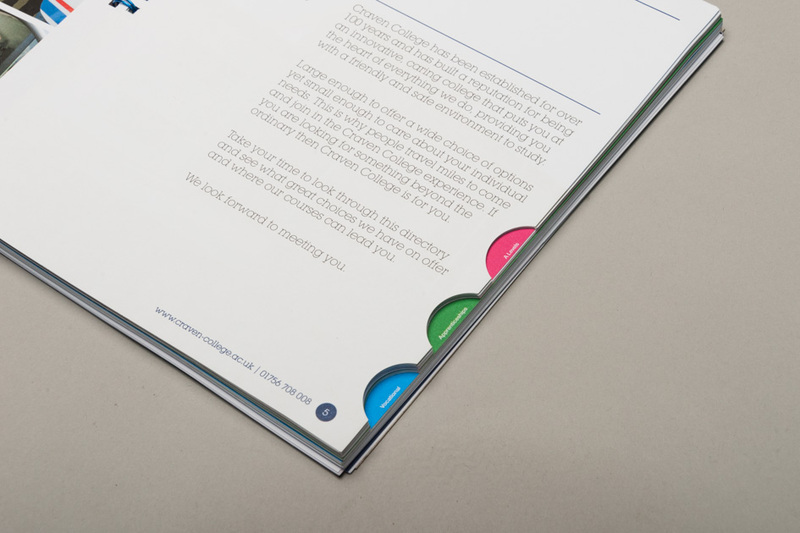 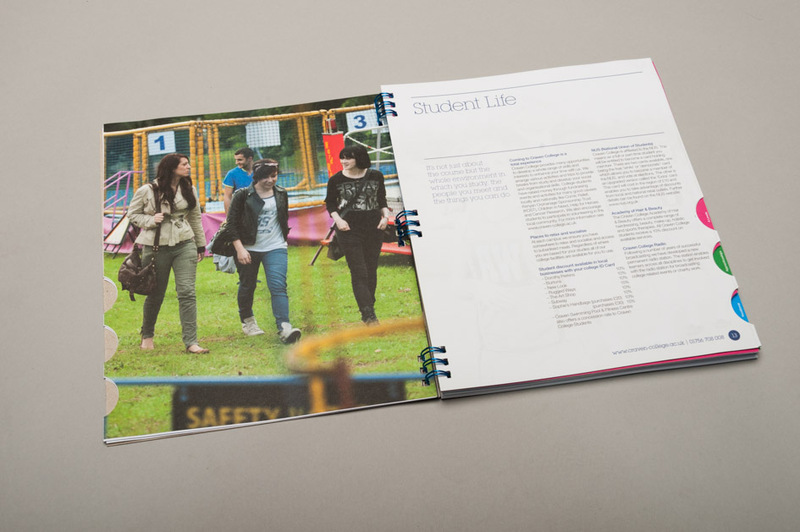 The prospectus uses a split ring binding and tabbed navigation, we produced an accessible document for all users. 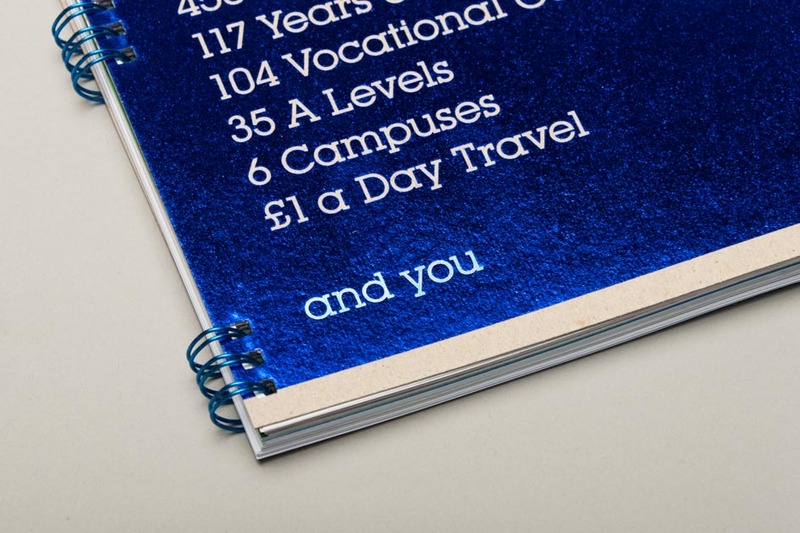 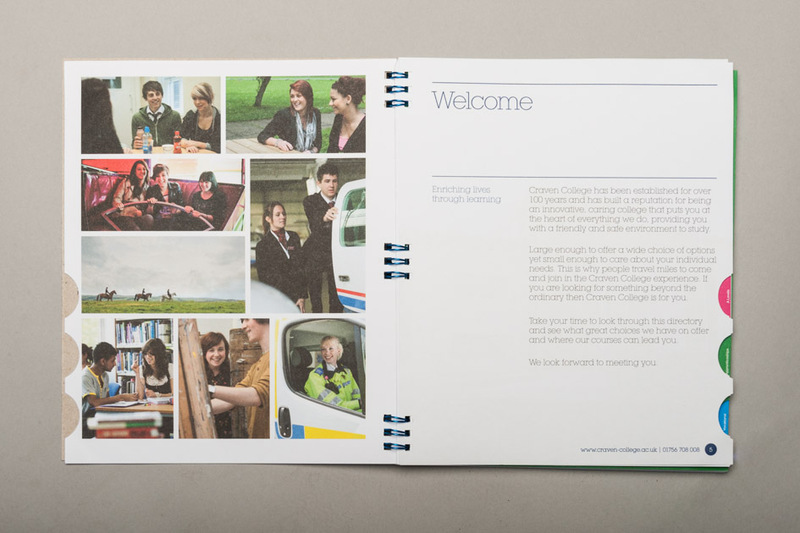 A finishing detail was a dual foiled cover on grey board reflecting the values of the college. 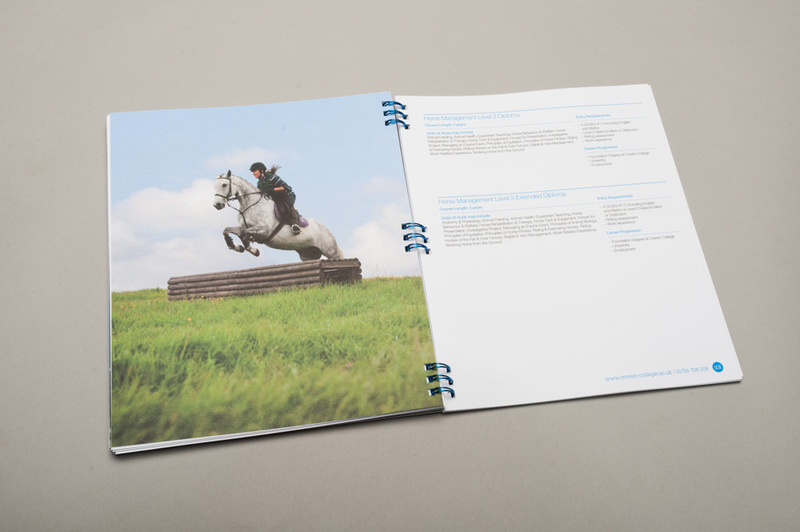 This was key to help the document stand out against other competitors at events. 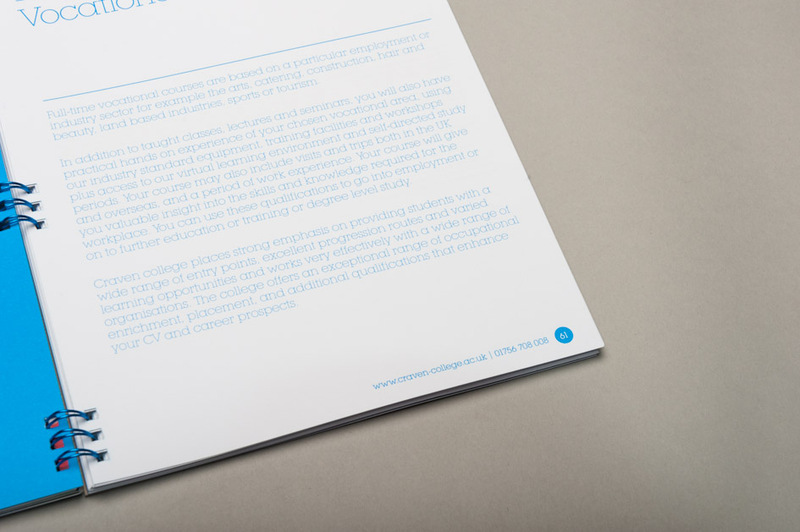 Awarded winner of the Joint Silver Award at the 2012 Heist Education Awards.